The HERZ-Actuator 230 V / 24 V is a thermoelectric valve drive for opening and closing valves on heating circuit distributors of concealed floor heating and cooling systems. The main field of application is the energy-efficient individual room temperature control in the range of building management systems and home automation. 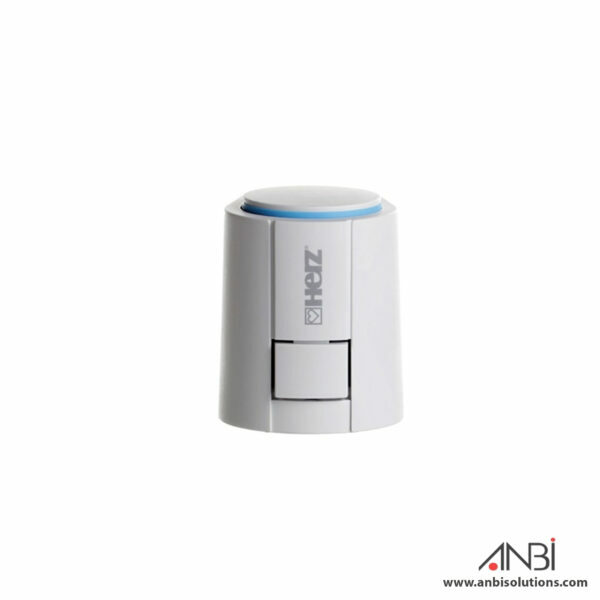 The HERZ-Actuator 230 V /24 V is controlled by a 230 V / 24 V room thermostat with two point output or pulse-width modulation. The actuating drive is switched on via an electrical contact, e.g. from a room thermostat, and starts opening or closing the thermostatic valve. The actuating movement is accomplished by an electrically-heated expansion element. When the heating current is switched off, the valve closes or opens respectively. The HERZ actuating drive is maintenance-free and offers silent operation.